Wow! Where do we begin? 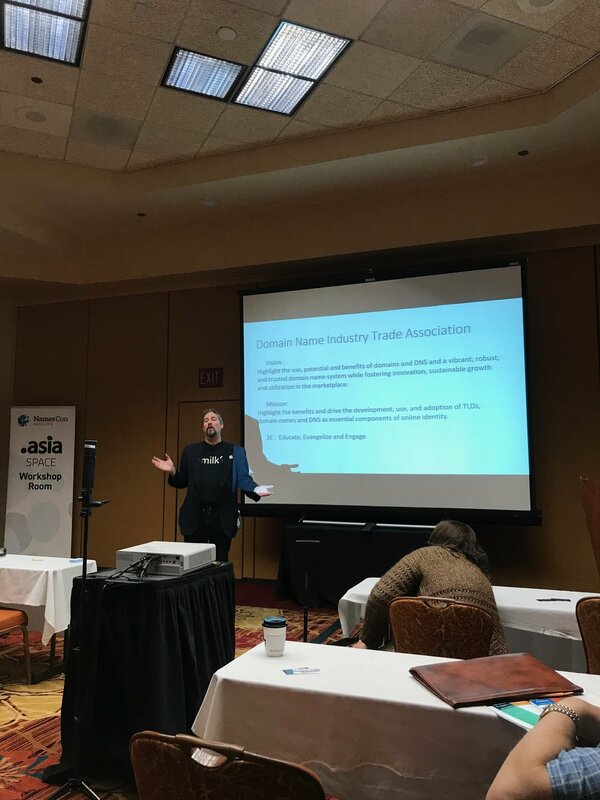 This past week (Jan 27-Jan31), Emoji Empires attended its first NamesCon at the Tropicana in Las Vegas, NV, with the goal of educating and spreading awareness about Emoji domains. 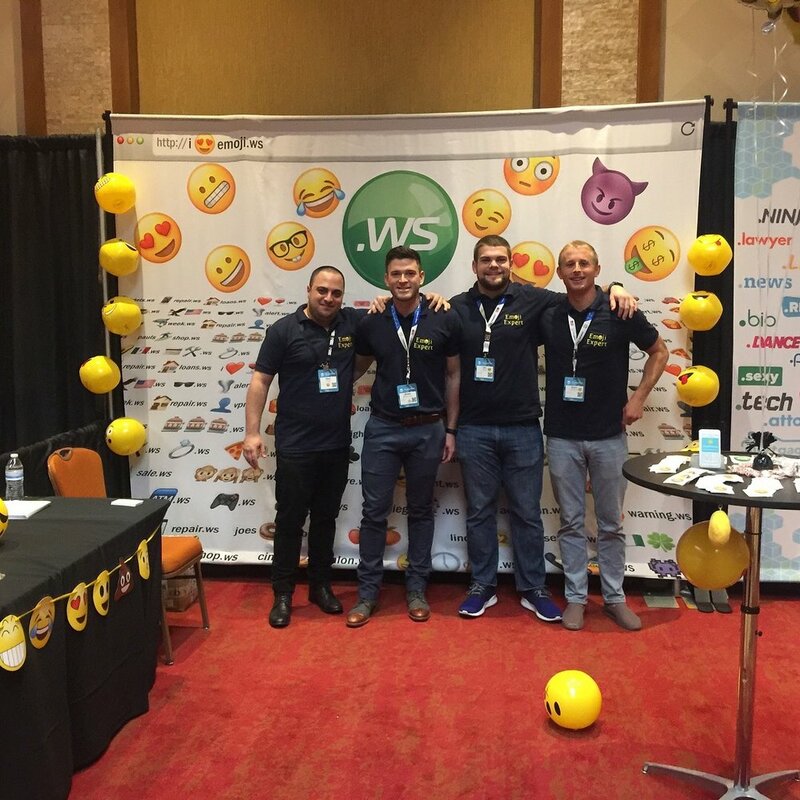 We had the opportunity to collaborate with the .WS Registry and showcase an Emoji domain specific booth, where we attracted many people interested in what we are doing with emojis and domains. We had many amazing conversations with industry leaders and professionals from around the world, further pushing the education and awareness of Emoji domains. Check out some of the highlights below. The "Emoji Experts" team made up by Matan Israeli (EmojiURL) and Mike Razz, Eric Thoni, and Tanner Schenck (Emoji Empires), ready to roll at NamesCon day 1️⃣ of expo. Obligatory photo of the "Emoji Experts" and the Domain Cost Club team under the NamesCon welcome sign. Always a good time attending a session when Jothan Frakes, Executive Director of the DNA, is speaking. His knowledge and genuine passion for the industry and its future is inspiring. The "Emoji Domainers Executive Dinner" with Emoji domain investors from around the world. Many great strategies, ideas, and plans were discussed to promote Emoji domains and their future. Emoji Empires Co-Founders team picture. Got any questions? we'd be happy to answer them! Contact Us! "Welcome to NamesCon" opening session with event moderators and NamesCon President, Soeren Von Varchmin, on what to expect at NamesCon 2018. The much anticipated Domain Auction put on by Monte Cahn of RightOfThedot and Jonathon Tenenbaum of NameJet. 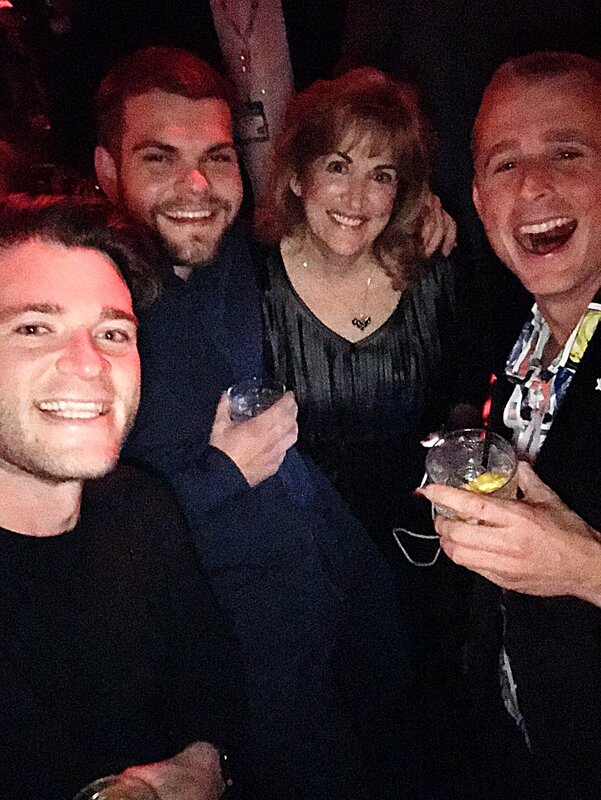 The Emoji Empires team selfie with our good friend Barbara Neu at the Hakkasan party hosted by MMX. A special thank you to the NamesCon production team for such a great event. Looking forward to NamesCon Global 2019!